Travel with Colleen Hagerty to Teveldal in Meråker, Norway, as she has an epic zip lining experience at Rypetoppen Adventure Park. 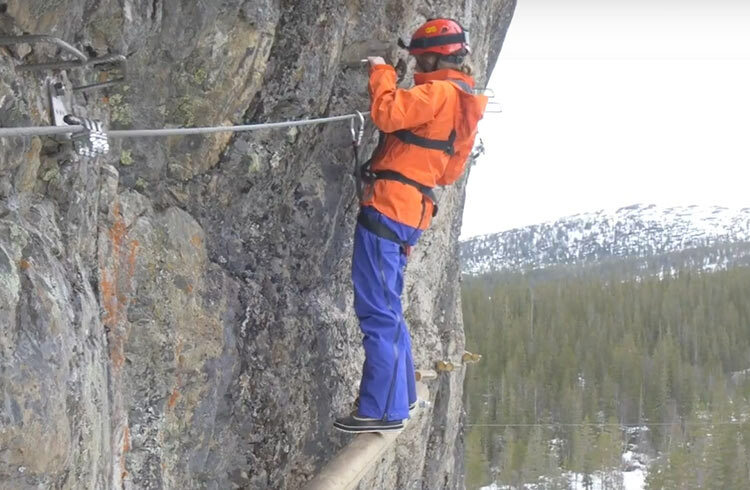 Colleen scales the heights and plunges the depths of Rypetoppen Adventure Park, walking over suspended bridges and scaling mountains with powerful waterfalls rushing down the artic mountains as the backdrop. She conquers her nerves, steps off the ledge and takes us on an heart-racing adrenalin adventure through Norway’s breath-taking scenery. Sleep in a glass igloo, meet the nomadic Sámi people, go dog-sledding, and see the northern lights in Finland this winter. Colleen Hagerty gets a skiing lesson with an Olympic champion, and discovers how cross-country skiing and range shooting go hand-in-hand in Norway.